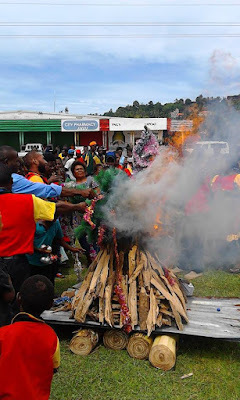 Christians from Vanimo in the West Sepik region of Papua New Guinea have declared Christmas is fake and is not recorded in the Bible. Three Christian denomination group, the Eastern Gateway Ministry, Christian Brotherhoods Church and South Sea Evangelical Church declared that Christmas 25th December is not the right time or date for the birth of Christ (Yesua). They made the declaration in front of the large crowd by burning Christmas trees and tinsel decorations.